Doctoral-level graduate students and early-career engineers, researchers and instructors from Japan and the rest of the world will meet at a weeklong summer seminar this August in Tokyo, sponsored by the Institute of Positioning, Navigation and Timing of Japan. 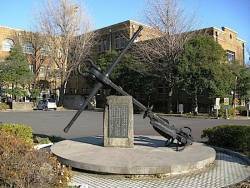 The summer school will take place in from August 19 through August 24 at the Tokyo University of Marine Science and Technology (TUMSAT). Classes wil be held in English. Students will learn about modern GNSS, including GPS, GLONASS, Galileo, BeiDou and QZSS, their orbits and signals, design of the receivers, RTK positioning software and GNSS simulators. GNSS area. He is coauthor of Digital Satellite Navigation and Geophysics (Cambridge University Press) and a guest professor at TUMSAT. Oscar Arenales, formerly of NASA Johnson Space Center and now a guest professor in robotics and aerospace, underwater and extreme environments design at TUMSAT. Tomoji Takasu, a GNSS researcher at TUMSAT, developed the RTKLIB library, an open source portable program package for standard and precise GNSS positioning. The school is also sponsored by Multi-GNSS ASIA, Japan Space Education University Consortium and iP-Solutions.